Configuring and selecting the OSTC Companion or the OSTC Planner comm port is sometimes a nightmare… So let me try to help, by reviewing a few cases here. 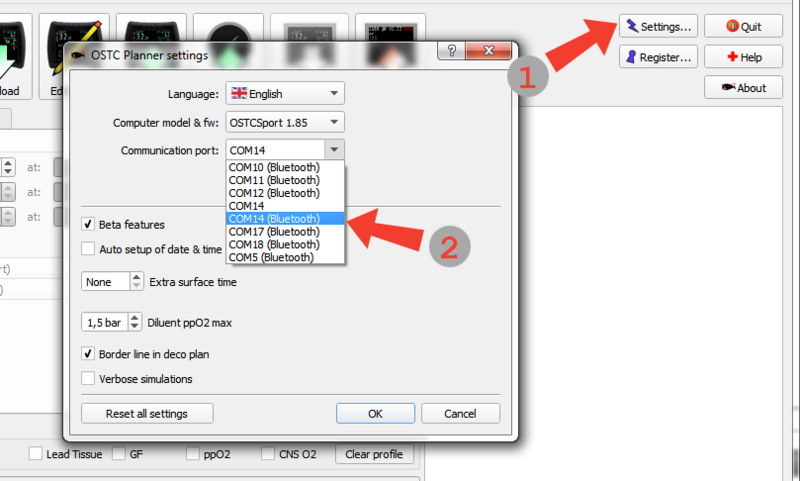 Select the corresponding port number in the Communication port menu. It should be present, and marker (Bluetooth) or (USB) corresponding to your case.